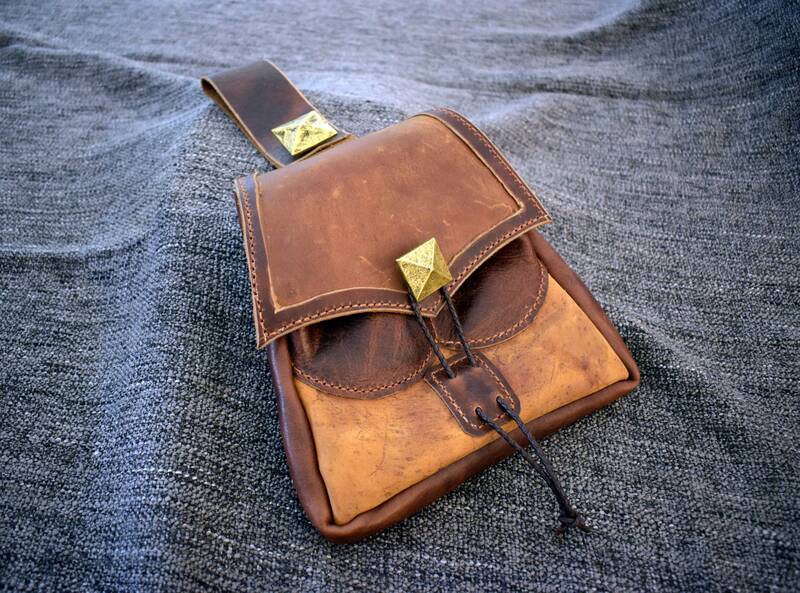 This is a handmade belt pouch styles after originals from the renaissance. 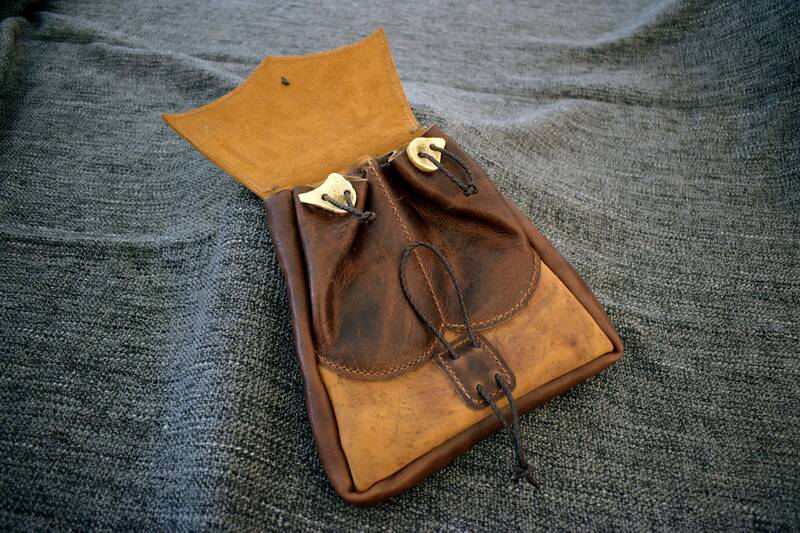 Each pouch is made of a base layer of oil tanned cowhide with two small rounded bison leather pouches on the front, as well as bison leather gusset and flap ornamentation. the belt loop is closed by button, making the pouch easy to remove. 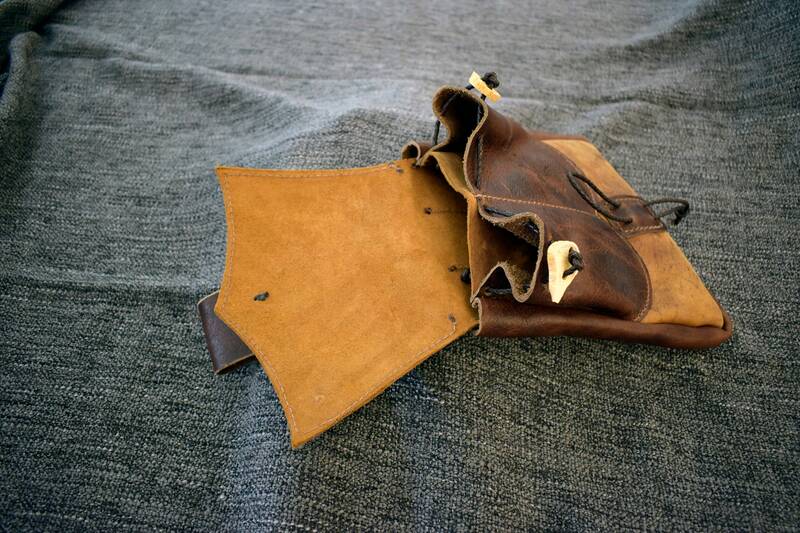 You have a few options for colors for the base layer of leather, as well as for the button for the flap and belt loop. 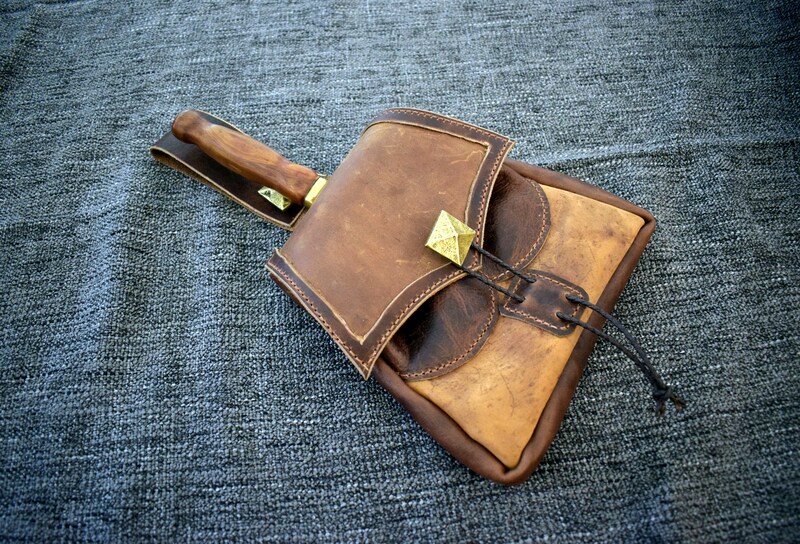 If you'd like the bison leather parts to be in the contrasting colors, let me know in the order notes what color you'd like, otherwise I'll make everything the same color. 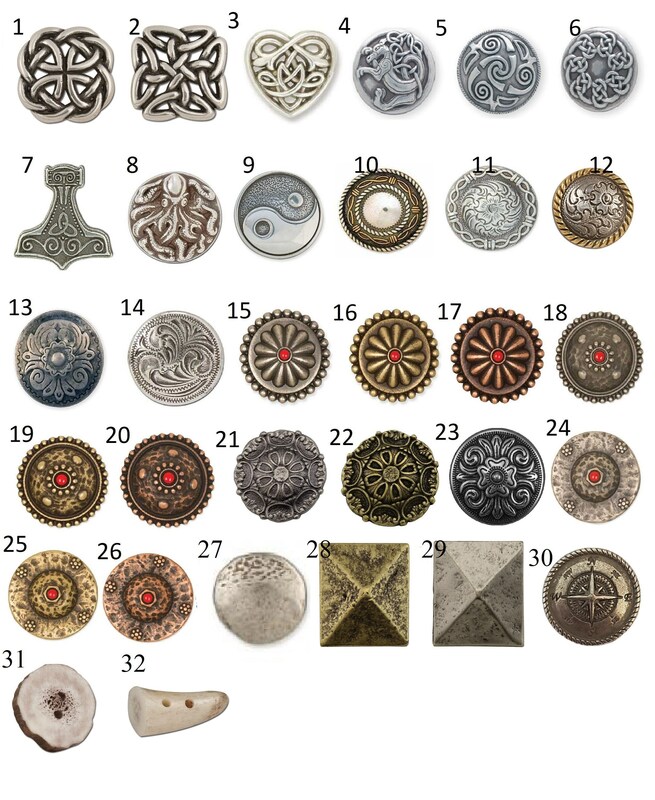 Likewise, if you'd like different buttons for the flap and belt loop, let me know which buttons you'd like for which. the belt loop is made in such a way that it allows for a thin dagger and it's sheath to be slid inside making the pouch function as a sword frog, which is pretty cool.